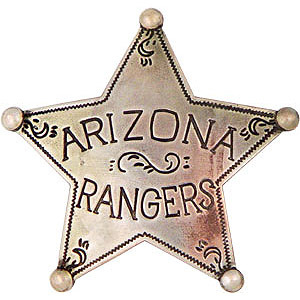 Today the Arizona Rangers Fredrikstad Company consists of 13 fearless Rangers. Here you can see the badges we are using. 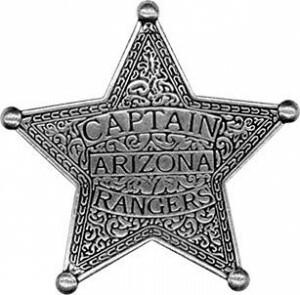 Our eminent Captain has the Captains badge and all the other rangers have the ordinary Arizona Ranger badge.